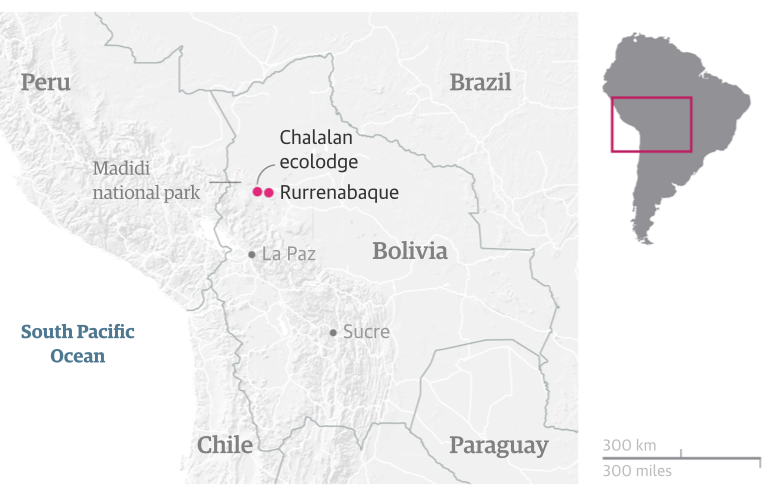 From Andes to Amazon: trekking through the Bolivian jungle; which is IN PERIL by the hand of their own government! 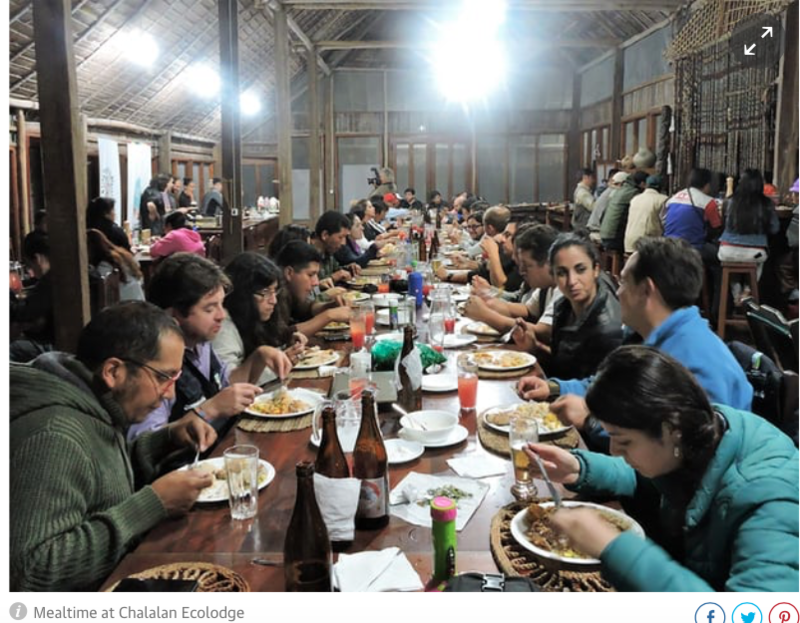 The real-life hero of adventure film Jungle helped set up an ecolodge in Bolivia’s Madidi national park – a wild destination for trekkers, and a ray of light for a hunter-gatherer community under threat. Branches came crashing down and leaves tumbled around me. Over my head, a howler monkey was putting on a display, standing upright, chest puffed out, pelting me with whatever was at hand. Eventually, realising that this grinning biped wasn’t going anywhere, he gave up, sat astride his lofty branch and went back to eating fruit. That was just one of many captivating encounters in Madidi national park, a vast swath of pristine wilderness in the Bolivian Amazon. 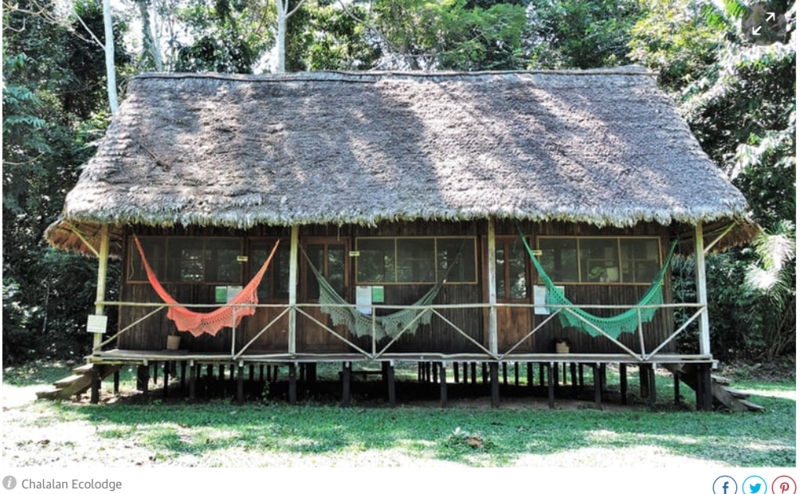 To get there, I’d flown north from La Paz to the sweltering jungle town of Rurrenabaque. 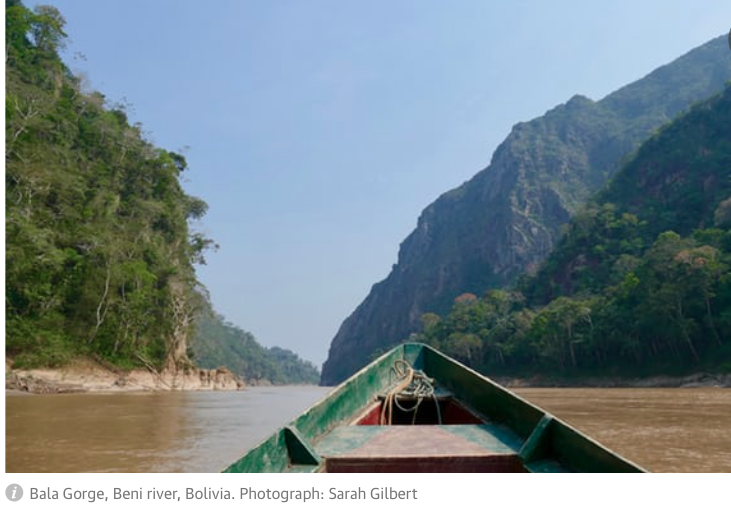 Then it was a six-hour journey in a wooden motorboat, chugging gently along the Beni and Tuichi rivers, through sky-high gorges and gallery forest, spotting kingfishers, herons and caiman as I went. In 1981, Israeli-Australian backpacker Yossi Ghinsberg had a very different experience. At the age of 22, he went off the trail and deep into uncharted Madidi in search of lost tribes and hidden treasure. His dream turned into a nightmare when he was separated from his three companions – two of whom disappeared without trace. For three weeks, he survived on his wits, willpower and, he believes, sheer providence. Sleep-deprived and starving, he took on the elements, fire ants, venomous snakes and a marauding jaguar, before being rescued against all the odds by his friend Kevin Gale and the hunter-gatherer community of San José de Uchupiamonas, who are Madidi’s ancestral landowners. 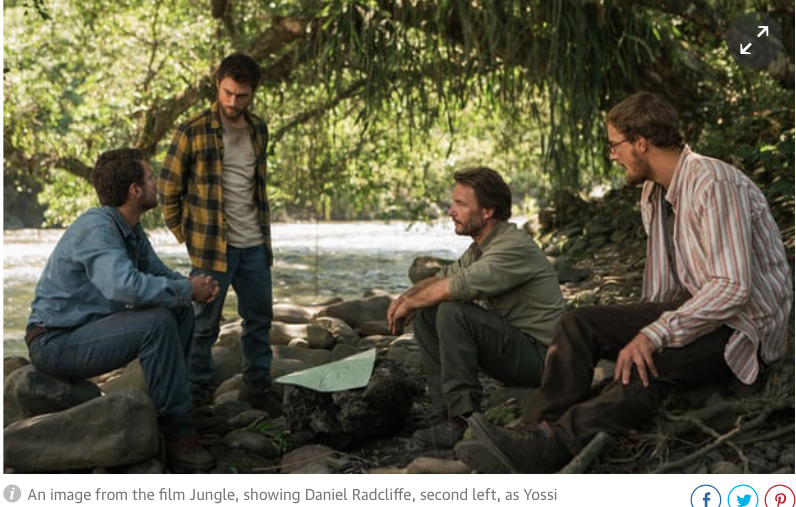 The movie Jungle, starring Daniel Radcliffe as Ghinsberg, is based on his book Jungle: a Harrowing True Story of Adventure, Danger and Survival. From the river, it was a 2km hike along the Jaguar Trail to the lodge, heralded by raucous parrots and toucans. But once there I suffered no Ghinsberg-style privations: I feasted on just-caught catfish and papaya from the garden, then slept like a baby, cocooned in my thatched cabaña, with its mahogany floor and flush toilet. 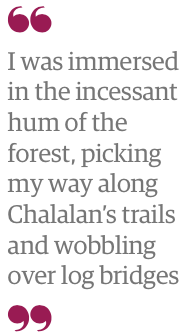 At 6am the next day I was immersed in the incessant hum of the forest, picking my way along one of Chalalan’s many trails and wobbling over log bridges in the wake of my machete-wielding guide, Ovidio. Shafts of sunlight pierced the canopy as we admired forest riches – the hairy legs of a tarantula peeking from its hole, a flamboyant poison dart frog, no bigger than a thumbnail. I thought of Ghinsberg and his makeshift bed crafted from a tattered poncho and palm fronds as I squeezed between the gargantuan buttress roots of a kapok tree, enveloped in the musky scent of a jaguar. Bridging the tropical Andes and the Amazon, Madidi, a national park since 1995 [with direct and more importan international funding support coming from USAID through its Environmental Office], brims with life, with 15 major vegetation types and an altitudinal span of almost 6,000 metres. 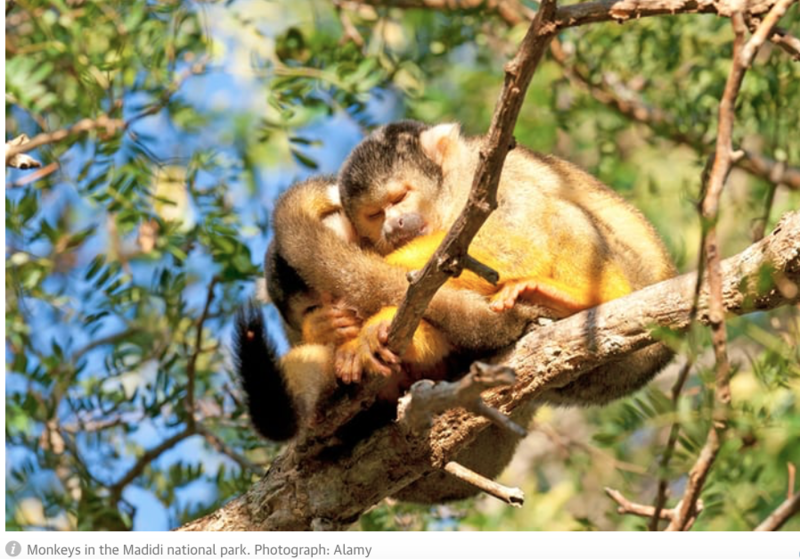 Indeed, Identidad Madidi, a study of the park’s flora and fauna, led by Dr Rob Wallace of the US’s Wildlife Conservation Society, aims to show that Madidi is the most biologically diverse protected area in the world. Back at the lodge, lunch was interrupted by a 100-strong procession of monkeys. Lean and agile brown capuchins were closely followed by scampering squirrel monkeys – they feel safer in the company of their larger cousins. In between, a lone black spider monkey put on an impressive show of aerial gymnastics. In the heat of the afternoon, I took a tentative dip in the tea-coloured lake, while the resident caimans napped (it’s safe to swim in daylight, I was told), plunging through the sun-warmed surface to cooler depths. Then I flopped into a hammock and was lulled to sleep by a chorus of caws, chirrups and trills. Ghinsberg stresses that Jungle is not only a story of survival but also one of self-discovery. Now he has been initiated into the Uchupiamona as a village brother, or wawqi in Quechua. He’s referring to President Evo Morales’s goal to turn Bolivia into the energy powerhouse of South America, including two proposed hydroelectric megadams on the Beni river, to generate electricity primarily for export. 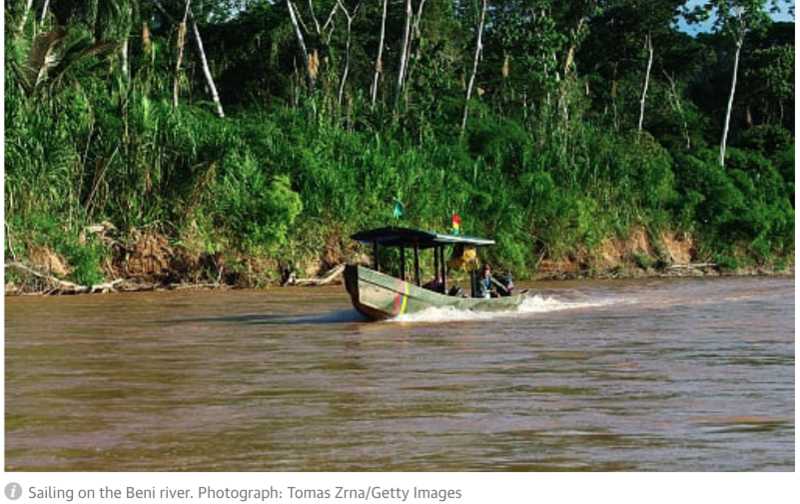 The controversial project would submerge parts of Madidi and Pilón Lajas biosphere reserve, affecting 17 communities, including Uchupiamona, displacing 4,000 people and destroying their way of life. “The flooding will kill plants, wildlife will lose its habitat and communities will disappear. What can we do?” Ovidio said, as he paddled me across the lake in a dugout, the reflected trees like Rorschach inkblots in the mirror-still water. As we headed back to Rurrenabaque, a notoriously elusive tapir – with a face like an anteater, similar in shape to a pig and but the size of a donkey – swam alongside us for an instant, before fleeing into the forest. A shaggy capybara, the world’s largest rodent, was drinking at the river’s edge, and two harpy eagles surveyed their terrain from a leafless tree. Bolivian Thoughts opinion: Even though it took me almost three days to get there, it was worth it! At the time of my trip, we were planning to get to Chalalan driving from La Paz city, through the Yungas, and eventually to Rurrenabaque. Road blockades forced us to do many turns, our car broke down, we had to travel on top of a truck, in the middle of the night, with sun glasses on and mouths shut, to avoid swallowing bugs … getting to Chalalan by boat was a long, slow hard journey as it was colder than hell and heavy rain throughout the whole two-hour ride … nevertheless, once there, all those discomforts disappeared. Walking around 4, 5 in the morning thought the forest and listening to its wildlife was something I have never experienced in my life! Thus, it infuriates me that the egocentric “caudillo” intends to destroy the lives of the indigenous communities and its biodiversity. To make things worse, those dams, far away from markets, will loose tremendous amounts of that energy on their wat to their supposed markets in Brazil … a crazy, stupid idea of an individual who lied to the world. He is no Mother Nature’s defender? he is no friend to the indigenous communities. Across the Beni river, in front of Rurrenabaque, there is the La Paz sugar mill art San Buenaventura, without even having or being the best site for sugar cane production. This inept excuse of a president has stayed in the mid of the 2oth century with the state-owned mega enterprises that have not worked anywhere else in the world. I urge the world to express strong complaints to this egomaniac so he does not destroy this great, lovely ecoregion of theMadidi!!! This entry was posted in Beni, Bolivia, Economics, Energy, Environment, Health, Holidays, La Paz, Politics, Social Unrest, Tourism and tagged environmental damage, government failures, sustainable development. Bookmark the permalink.